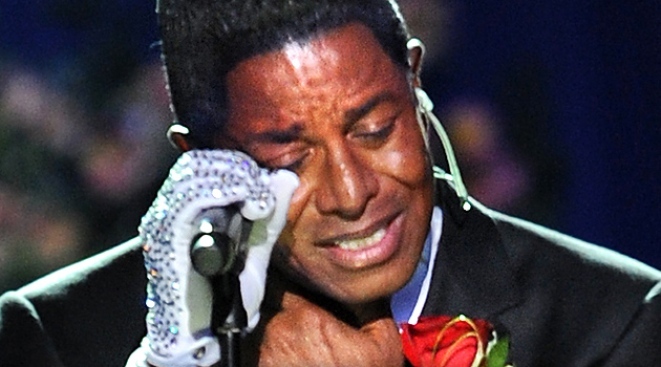 Jermaine Jackson cries as he speaks during his brother's public memorial service. Michael Jackson, the iconic pop star, died at the age of 50 at UCLA Medical Center on June 25 in Los Angeles. Jermaine Jackson's rendition of "Smile" sung at his brother's public memorial is coming to iTunes. A judge granted Michael Jackson's estate a request to enter into an agreement with Apple to distribute the song on its popular music downloading service. The agreement calls for both the audio and video of the performance to be sold. Documents immediately available didn't say how much the deal is worth. Jermaine Jackson said the song, written by silent film star Charlie Chaplin, was Michael Jackson's favorite. He performed the number wearing one sequined glove as a tribute to his brother.